B.Tech electronics and communications, Faculty of engineering and technology Students of GNA university, visited doordarshan on 27th January, 2016. A division of PrasarBharati, (Min of Information & Broadcasting) Government of India, Doordarshan is one of the largest broadcasting organizations in terms of the infrastructure of studios and transmitters. 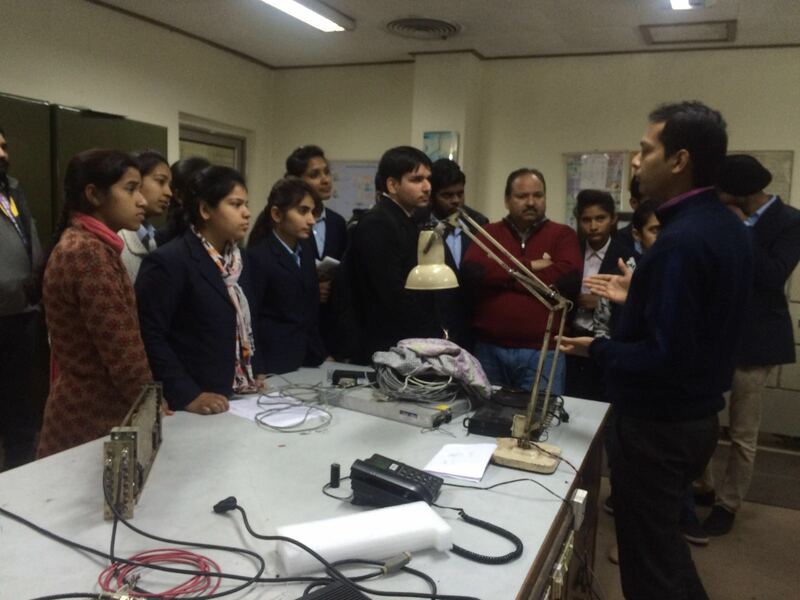 The trained engineers of doordarshan guided the students to the process of communication. 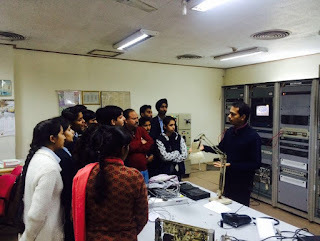 Fromunderstanding the basics on to various roles of doordarshan such as Outer broadcasting van, central apparatus room, Non linear editing, Studios, Camera control Unit etc, the students were thoroughly briefed. 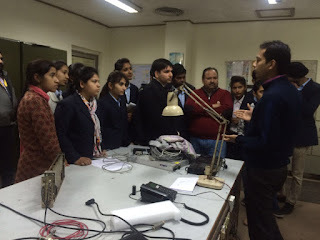 From Antennas thru' waveguides, they were explained about different types of modulations. The most charming exposure was the live telecast of DD news at 1:00 PM, where students learnt the process of switching during live telecasts.